Equality in the workplace is an intense work-in-progress. There are endless issues to think about, such as the pay gap, and incessant sexual harassment at work. On the other hand, and on a brighter note, women are making things happen on their own. Today we see both men and women responsible for the care of their children. Biologically, though, women end up playing a bigger part in nurturing. All the way from breastfeeding to emotional relaxation, a child relies extensively on their mother. Certainly, women do get a maternity leave, but is that where it ends? Absolutely not. Women finish their allotted maternity leave, but that does not mean their child is ready to be separated from their mother, and handed off into the arms of a hired caregiver. Some children do suffer from separation anxiety. Additionally, being able to afford a caregiver is a privilege that not all families can afford. Even in the later stages of life, a child needs their mother’s guidance, and because of work, the mother will find herself managing the delicate balance between both family and employment. Some may argue that as a result of this, women cannot manage both, as it is too heavy a burden to bear. Looking deeper into the roots of the issue, many women are criticized for bringing their children to the workplace. Why? 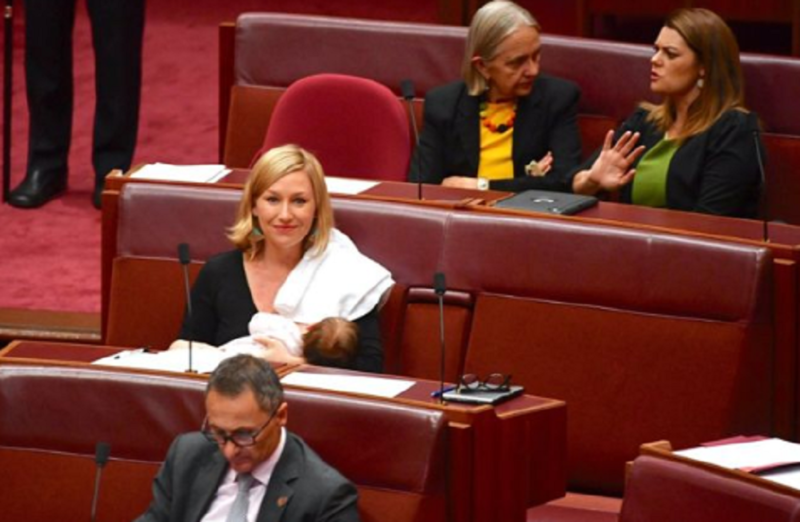 In one case, if a woman brings her still breastfed child into work, colleagues may deem the matter to be “inappropriate.” If the child is causing a disturbance, then yes – we can agree there is a disruption. However, many argue the main reason is breastfeeding. Societal norms dictate that a woman’s body remain policed, and this notions trickles down to viewing breastfeeding, a natural, God-given act, as offensive. Breasts are sexualized, and as a result, breastfeeding is seen as offensive. Through this logic, one can conclude that branding breastfeeding as inappropriate in public places is purely misogynistic. Another condescending argument constantly rearing it’s head against working mothers is that a mother could get distracted from her job. Whether a mother is distracted or not is not her organization’s decision to make, so long as the woman in question is still performing her work satisfactorily. The company can only act upon the issue if the mother is not actually performing well in her job or if others can’t do their job. Shoddy arguments against working mothers are futile in this day and age. Working women across the board are breaking barriers. For example, British Member of Parliament, Jo Swinson, made history by taking her 11-week old baby to an active Commons Debate. MP Swinson tweeted about the ease of managing her baby at work, summarized by how simple it is to carry around a towel to wipe up her child’s face: https://twitter.com/joswinson/status/1040496963651862528. MP Swinson was praised on the social media platform for what she did, and for the fact that her efforts to ensure clear leave policies have spurred 10 major organizations, EY and Santander to name a few, to make their leave policies publicly available. Additionally, New Zealand Prime Minister and leader of the Labor Party, Jacinda Ardern brought her baby daughter into work at the United Nations. PM Ardern continues to fight for women in the workplace, claiming that she wants to normalize the idea of women being able to bring their child into work, therefore opening up the workplace to working mothers. Change in this arena has been slow, but steady. Whilst this year has seen rapid improvement in workplaces becoming more child-friendly, efforts to normalize this idea go back to 2010, when Italian MEP Ronzulli brought her daughter to work. The event turned some heads back then too. So whats the solution? How can we support this new wave of mothers who insist, rightfully so, that they can tackle being excellent mothers, and stellar career-woman at the same time? By taking their needs head-on of course! Ultimately, to advance the workplace and make job spaces more child-friendly, companies can hire nannies for the mothers. They can create playing areas or daycares. The options are endless; the implementation is the more challenging part. Efforts are being made, and people are questioning their companies’ child friendliness policies. Additionally, women around the world are constantly protesting for their governments to invest into childcare. This is how the revolution progresses! Hopefully, the whole world can catch on the importance of workspaces becoming child-friendly.